The network has a new information about the expected release of Red Dead Redemption 2 from the authors of GTA 5 on the PC, which may be announced this month. At the same time, the expected project will be released on the PC only in the Epic Games Store service. A source at the famous 4Chan forum, which earlier reported the release of Borderlands 3 to the Epic Games Store, revealed that the PC version of Red Dead Redemption 2 will be announced soon. According to the leak, the Red Dead Redemption 2 version for PC will be officially announced on April 22. In this case, the project will be released as another exclusive for the Epic Games Store. In addition, the leak also disclosed the release date of Red Dead Redemption 2 on PC, which is scheduled for July 9 of this year. Two facts lend credibility to the leak. Thus, the source first accurately predicted the release of Borderlands 3 in the EGS. In addition, the publisher Take-Two has already concluded a deal with Epic Games for the release of this game in a new digital service. 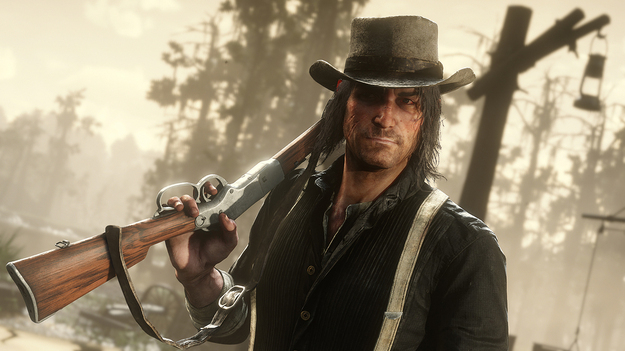 Given that Take-Two Interactive is also engaged in the publication of Red Dead Redemption 2, it is very logical that the company will release the expected game also in the EGS service. It is worth noting that the leak claims that Red Dead Redemption 2 on PC will be a lifetime exclusive of the Epic Games Store, and will never appear in other digital services on the PC, such as Steam from Valve. This information has not yet been officially confirmed, so gamers need to keep an eye on future news or wait on April 22 to find out if this information is reliable. However, at the end of 2018, many analysts predicted that the release of the PC version of Red Dead Redemption 2 should take place less than a year after the release of the console versions, which fit into the new information.